I’ve been weighing whether I should scratch the itch and enter my second full Ironman for some time now. Well, registration opened yesterday and the allure of racing, training and swimming in the cold water close to home proved too much to resist: I pulled the trigger. Actually, Taylor did while I was on a plane last night. 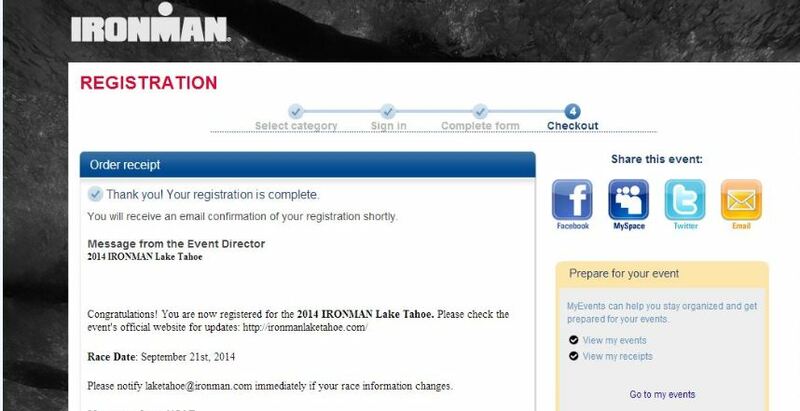 When I found myself checking the weather ahead of Ironman Lake Tahoe on Sunday and following the live blog from Copenhagen, my decision was made: I’m less than a year away from the finish line at Squaw Valley.